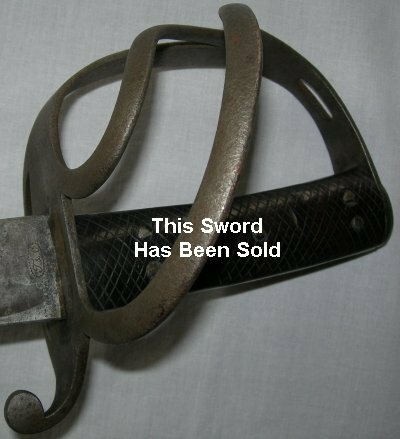 Good condition, maker marked 1853 pattern British cavalry trooper's sword and scabbard. The 1853 pattern cavalry sword is fast becoming a rare collector's item because of American buyers keen to own them (the pattern was used by both Union and Confederate troops in the American Civil War. 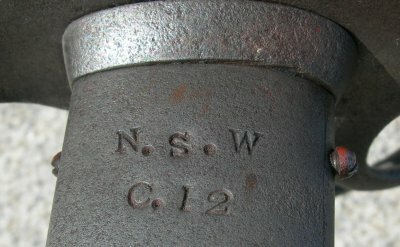 This trooper's sword is marked to the New South Wales Cavalry of Australia, troop C, trooper 12. 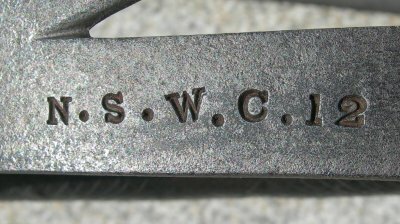 The mark "T & C" to the blade's forte is believed to mean "tenders and contracts" and come the Solingen maker P D Luneschloss; in 1821 the government owned Enfield factory started producing swords mainly from imported blades. The sword generally is in good to better condition with no movement or looseness anywhere; I would accept £450 for it. Further pictures available upon request.